If you have been arrested for driving under the influence, or DUI, then you could be facing serious fines and penalties. Call Owens Bonding Co. at 866-830-2663 for DUI bail bonds in Wichita, KS today! We will help you get out of jail for a fraction of the cost. Driving under the influence, formerly referred to as driving while impaired, occurs whenever you are operating a motor vehicle with a breath or blood alcohol content (BAC) level of .08 or above. For anyone under 21, you will get a DUI for a BAC of .02 or higher due to stricter laws for minors. 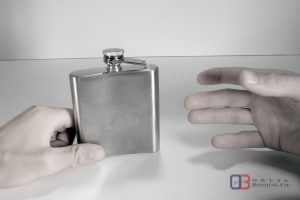 The DUI laws in Kansas have changed a bit in the past decade; however, past alcohol-related offense can count as a prior offense. There are a wide variety of fines and penalties that come with a DUI arrest, including judicial and administrative penalties. This might include license suspension, driving restrictions, and/or vehicle impoundment. First and second offenses are classified as misdemeanors, while a third or subsequent offense is charged as a felony. Other details may incur a more severe charge, such as a DUI with a child under 14 or involuntary manslaughter. How is your specific charge determined? A judge or judicial officer will assess your past offenses, current charges, and other factors to determine your charges’ severity level. This will, in turn, affect your eligibility for bail and the price. If you are eligible to get out of jail on bond, save big on bail bonds with Owens Bonding Co.! Whether your bail is set at $1,000 or $50,000, our bail agents can write a bond for you and find a suitable payment plan. Because of the many costs associated with a DUI arrest (don’t forget about higher insurance! ), take advantage of a bail bond if you can. Owens Bonding Co. proudly serves more than 75 counties throughout Kansas. Wherever you are, we have a local bail agent nearby to help get you out of jail quickly. Call our main office at 866-830-2663 for DUI bail bonds in Wichita, KS. Updated on February 13, 2017 at 3:22 pm by Owens Bonding Co..